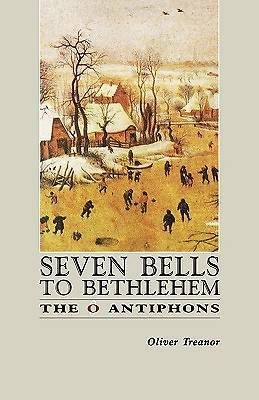 Among the most beautiful prayers ever composed, the 'O' Antiphons have for twelve centuries voiced the Church's longing for Christ's Coming at Christmas. In this remarkable book Oliver Treanor explores the rich biblical background to each Antiphon and, drawing on the spiritual tradition of the Fathers and the teachings of Vatican II as well, leads us to the deep sources of meditation that lie within the texts. Here is an ideal Advent companion for individuals or groups seeking to recharge their spirituality for Christmas - and indeed throughout the year. For the 'O' Antiphons guide us beyond Advent into the entire mystery of salvation, bringing us beyond the Christmas season to the Paschal Mystery itself. It is in fact a book for all seasons. Oliver Treanor is author of Mother of the Redeemer, Mother of the Redeemed; he has written for L'Osservatore Romano, Priests and People, Religious Life Review, Theology Digest and many other journals. He has worked for five years as a producer and broadcaster at Vatican Radio. Want it in two business days? Order by 4/19/2019 2:00:00 PM and choose Overnight shipping at checkout. Ships from a Cokesbury Connect Partner.